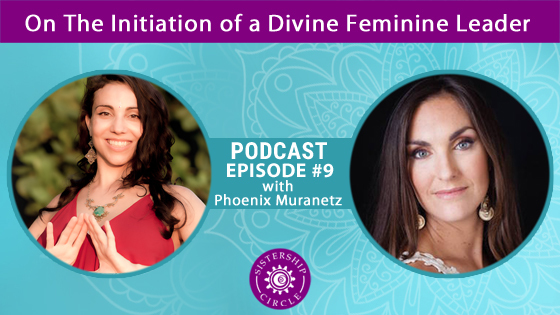 Phoenix Muranetz is a Women’s Sensual Liberation Specialist and the co-founder of the Awakened Woman Conference and inspired creator of the Mythic Self – a practice helping people around the world tap into the vastness of their souls. As an initiate in the ancient lineage of Sophia Tantric Wisdom, her work connects women back to their embodied wisdom, creative expression, magic and sensual energy for authentic connection, success and personal power. After struggling with depression, suicidal tendencies and disconnection in resisting her true soul’s path most of her early years, she came to embrace the essence of her natural abilities and gifts. Now, she works with women around the world privately through intensive work, private coaching, initiations, and through her yearly conference. As a speaker and performer, her unique ‘Prayerformances’ are best described as transformational and sacred initiatory journeys in the edge where art, creativity, and play meet.